A great day spent exploring some of eastern Ontario’s most interesting habitats as we searched for beautiful and coveted breeding birds. We explored everything from granite outcrops/juniper scrub to mature maple-oak-beech lowland forest. Our main targets for the day included: Prairie Warbler, Cerulean Warbler, Blue-winged Warbler, Golden-winged Warbler, Louisiana Waterthrush, Yellow-throated Vireo, Loggerhead Shrike, Red-shouldered Hawk, Black-billed Cuckoo, Yellow-billed Cuckoo, Least Bittern and Black Tern. In the end, we managed nine out of the above twelve targets; a good percentage for a day trip! All I’ll say is “phew!” From a guide’s perspective, it wasn’t exactly a magical day where birds were showing themselves off and everything was easy to find; I personally had to remain right on my toes, keeping my eyes peeled and ears on high alert for even just a sliver of a song or call note; anything to work with! Those sorts of tours I really do enjoy because the challenge-factor is so high. 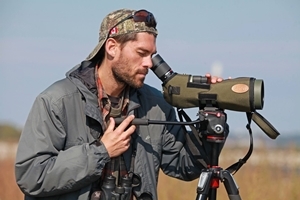 Days like those call upon alertness and skill level, and when the guide pulls it off, it reinforces to the group as to why they pay money to go birding with someone. However, the following day the guide’s mind is mush! 🙂 Thanks again for a great day, everyone. Looking forward to the next Target Birds trip already!